Maidstone Girls Grammar School (MGGS) have had an active and successful link with Himalaya Milan School Tangting since 2006. This has delivered fantastic opportunities for teachers and students from both schools to learn about each other’s culture while linking these experiences into a wide variety of lessons within the curriculum. ‍How many trips has MGGS taken to Nepal? 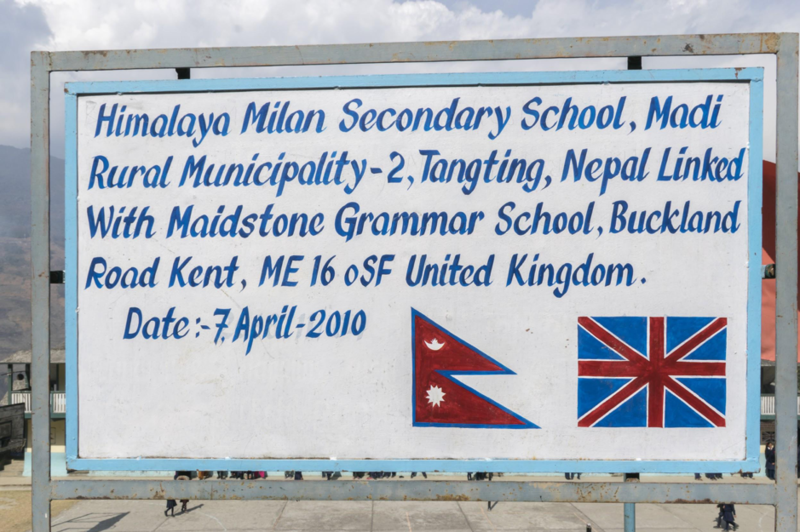 In 2009 a team of six teachers and members of staff from MGGS spent two weeks visiting Tangting and the Himalaya Milan Secondary School as well as a number of projects run by the Pahar Trust in Nepal. In 2012 the headteacher of the Himalaya Milan Secondary School spent two weeks in the UK, visiting MGGS. 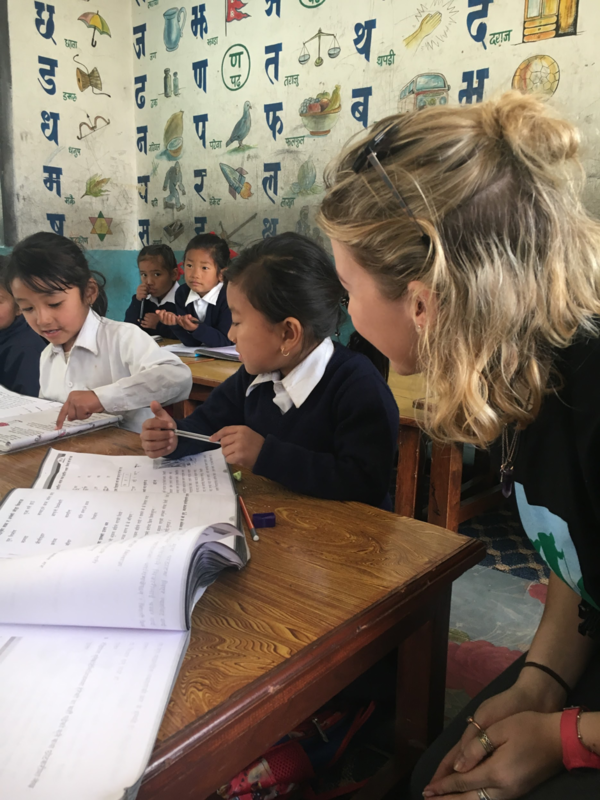 In February 2018, 42 sixth form students and 6 teachers from MGGS spent 11 days in Nepal visiting Kathmandu, Pokhara and spending time in Tangting led by True Adventure. We spent a total of 6 days building links and helping our partner school the Himalaya Milan Secondary School. In 2019 we have plans for the headteacher and a couple of teachers to make a return visit to MGGS and we are already confirmed to return to return to Tangting in 2020 with over 60 students and 9 teachers! ‍How have the experiences been linked back into the curriculum and what impacts has this had on the pupils? As part of the KS3 English curriculum Year 7 and Year 8 write letters back and forth to students in the Himalaya Milan School. The Design and Technology department uses traditional Nepalese recipes within Food Technology lessons. The Geography Department uses Nepal as an example for both physical and human geography examples throughout the curriculum. The history department has a unit of work looking at key events in Nepalese history and the Religious Studies department uses Nepal as a case study when studying Buddhism. A number of assemblies throughout the year are based around Nepal and the school canteen has a ‘Nepal day’ where they serve traditional Nepalese food. Our annual RAG (Raising and Giving) week (last school week in December) is focused around events that raise money for good causes and Nepal is always the main focus. MGGS has been accredited with the International Schools Award and our work with the Himalaya Milan Secondary school has played a big part of our portfolio of evidence. Are there any memorable moments or challenges that you have faced? The most memorable moment has to be accompanying 42 teenagers to Nepal. Every single student came back a more mature, reflective and thankful person. It was not an easy trip as there were several upsetting moments - for example many of our students were upset seeing that some of the students at the school could not afford school shoes. Following the trip, we organised several additional fundraising events to pay for a new pair of shoes and new uniform for every student at the school. 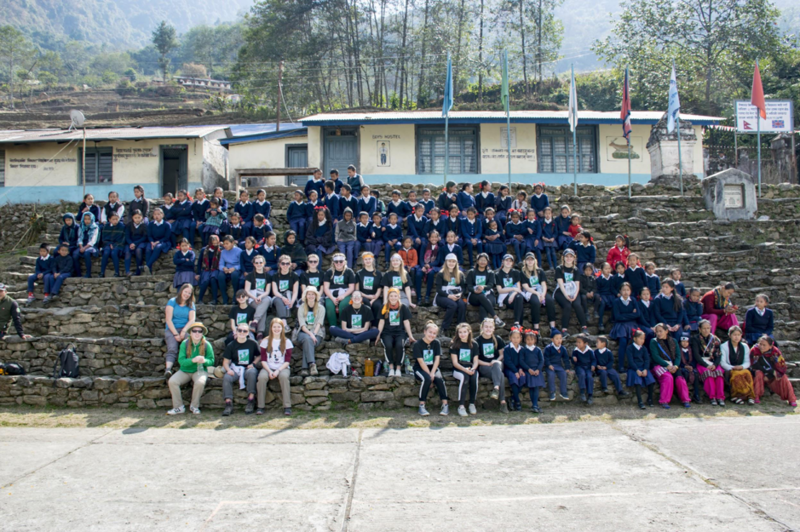 How much funding would you estimate that MGGS has raised for Himalaya Milan School? Are there any specific projects that stand out? Our annual RAG week raises approximately £5,000 a year. Every year since 2002 this money has been split 50/50 between local charities in Maidstone and Nepal. In advance of our trip in 2018, we raised additional funds to take with us which we spent on reflooring all the school classrooms, repairing all the windows and doors, purchasing new chairs and desks and buying new textbooks.